Has my EM6910 finally carked it? Thread: Has my EM6910 finally carked it? Hello brains trust. We have had a Sunbeam EM6910 for several years now. We bought it second hand, and it has performed very well for us until a couple of days ago when I topped up the tank using the top tray. I must have spilled a little water into the back of the unit through a crack in the plastic tray. The machine was turned on at the time. It turned itself off so I opened up the back to inspect the electrics (no obvious burnouts/ shorts) and left it like this overnight to dry. Now, when I turn it on, the power light flashes once then nothing at all. 1/ is there anything obvious this could be? Something easily fixed by non electrician at home? 2/ If the above answer is no, and we are looking for a new machine, which is better out of the Lelit PL41TEMD or the Breville BES920? Or, is there a gem for under $1000 I haven't considered? We only occasionally do milk drinks; mostly pouring long blacks from coffee roasted at home. We have a Breville smart grinder which I will upgrade eventually but not now. 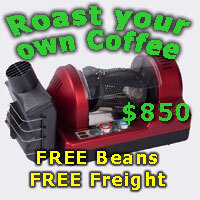 We would like a reliable machine with PID and preferably service available locally (Brisbane). Bite the bullet and get the Lelit - then worry about the EM, and flog it off if you can fix it (sorry, don't know about the flashing light). It's all worth it for VERY CONSISTENT, quality shots, much better steaming pressure, more consistent microfoam (and the pleasure of silent steam - no pump going) and a great looking Italian machine on the bench. I actually really enjoy the science of brewing, so the extra steps kind of add to the alchemy for me. But if you want an ultra quick hit in the morning you may find it a bit frustrating after the sunbeam. With the Lelit, they say 10 mins warm up, and no doubt temp stability is better after 10 mins, but mine is up to brew temp in 5. PM noidle22 - he is a 6910 guru that does it for a living. FWIW, it sounds like a blown fuse - 6910s are pretty hard to kill, however you may have achieved that difficult objective. BTW, unless your 6910 badly needs a clean & descale there is no way your two choices make better coffee even as a one off. Try to do 10 shots "on the trot" with either a Lelit or the Breville and you will join the frustrations of machines with undersized boilers. Also, you will not be able to pull a shot and froth at the same time. The 6910 can do 72 cuppas an hour, hour in and out complete with simultaneous microfoam. I have faced that dilemma for quite a few years and ended up with a much more expensive solution as the cheapest step up I could find (oh, and the 7000 or my 2 group La Pavoni certainly isn't it). Try to do 10 shots "on the trot" with either a Lelit or the Breville and you will join the frustrations of machines with undersized boilers. Also, you will not be able to pull a shot and froth at the same time. Hmmmm....I'm sure you are right TampIt, but 10 shots on the trot is not a normal home use pattern (!) and the OP mentioned that he rarely has milk drinks. A machine like the Lelit will suit the OPs needs just fine. BTW, the Lelit isn't going to struggle with the 10 shots on the trot. If you are grinding between shots (as opposed to dispensing from a loaded doser), by the time you have the portafilter loaded, the machine is back up to 94 degrees and ready to pour. It's one of the advantages of a small boiler - fast re-heat. IF you want to do more than a few milk drinks on the trot, I would agree, the Lelit is not the right machine. It fits my requirements beautifully, and it's probably a factor of my relative ignorance of the finer points, but I'm throwing away fewer shots from the Lelit than I did with the Sunbeam (which I still think can't be beaten for the $).